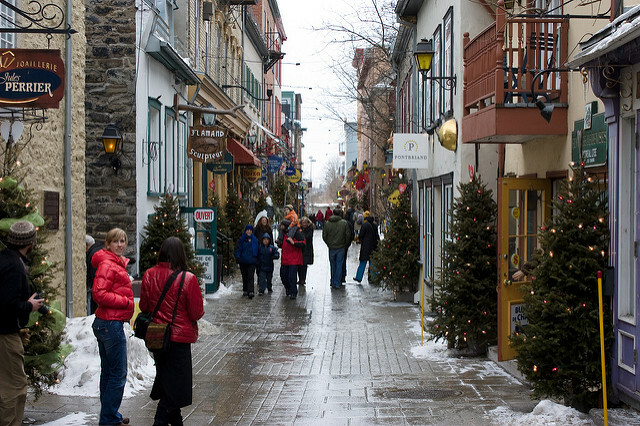 Winter is unlike any other time of year in Quebec City. Cobblestone streets are lined with freshly-shoveled snow, 17th-century buildings drip with icicles, and seasonal events and attractions welcome those who aren't afraid to travel north once the temperatures drop. Winter is unlike any other time of year in Quebec City. Cobblestone streets are lined with freshly-shoveled snow, 17th-century buildings drip with icicles, and seasonal events and attractions welcome those who aren't afraid to travel north once the temperatures drop. These four reasons to visit Quebec City this winter prove those who only visit in the warmer months are missing out. 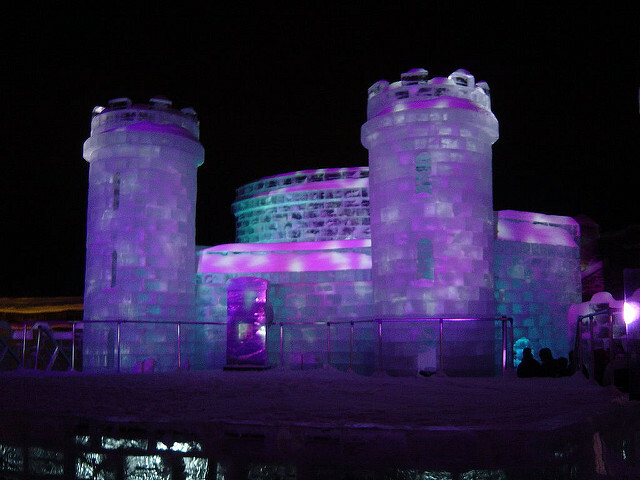 The Quebec Winter Carnival encourages locals and visitors to stop loathing the winter months and start embracing them. Thousands of visitors travel to the anticipated Quebec Winter Carnival every year in search of exciting snow-based activities, warm winter eats, and so much more. The carnival takes place across the city with a main site at the Plains of Abraham in Battlefields Park. Visitors can admire snow sculptures, take sleigh rides, ice skate, attend night parades, cheer for ice canoe racers, play giant foosball, and take part in a long list of activities that can only be enjoyed in the snow and chilly temperatures of winter. Quebec City is home to North America's only ice hotel -- the Hôtel de Glace. This architectural wonder is made entirely of snow and ice, providing the ultimate place for a wintry retreat. The hotel includes an ice slide, a chapel, the famed Great Hall, and of course, the Ice Bar, which serves tasty seasonal cocktails in glasses made of ice. Stay surprisingly toasty in the comfort of a fascinating igloo-like room or splurge on the premium arctic spa suite with fireplace. And when you're ready for an adventure, you can head to the Valcartier Vacation Village Winter Playground to sled, ice skate, snow raft, and try a number of other snowy activities. Canadians know better than to stay indoors when the snow starts to fall, but many don't know that getting outdoors doesn't mean heading far into the wilderness. Quebec City locals and visitors can get out on the snow at the largest research forest in the world, La Forêt Montmorency. The Boreal Glide, more than 2.5 kilometers of groomed track, opens on the last Friday of October and operates throughout the long winter season every year. It's the only cross-country skiing track to open this early, allowing Canadians and visitors from around the world more opportunities to embrace the outdoors this winter. Once the natural snow arrives, the forest becomes even more welcoming, with 57 kilometers of cross-country skiing terrain for all levels of adventurers. Some of Quebec City's winter experiences can't be had anywhere else in the world, and one of them is tobogganing at the Dufferin Terrace Slides. This more than 100-year-old structure, located next to the Château Frontenac, is arguably the oldest attraction in the city. When Mother Nature cooperates, visitors can soar down one of three ice-covered slides at speeds of up to 70 kilometers-per-hour. Four passengers can pile onto a single toboggan, making a visit to the Dufferin Terrace Slides a must-try winter activity for families and thrill-seekers of all ages.